Fortinet's FortiGate 3800D Series are the only security appliances capable of delivering an unprecedented 300+ Gbps throughput, while also featuring 100 GE interface ports and IPv4 to IPv6 performance parity integral in supporting next generation fabric. They deliver their breakthrough performance and protection in a compact 3U form factor with six 100 GE interfaces that preserve scarce rack space while maximizing capacity. 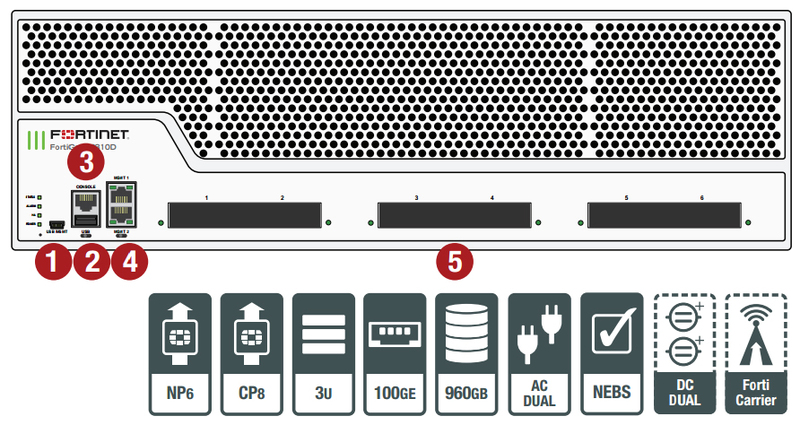 Powered by the new FortiASIC NP6 processor, the FortiGate 3800D Series allow customers to build 100G data centers without worrying about high speed connectivity or throughput of the core firewall. The FortiGate 3800D Series give you the flexibility to choose the firewall personality that best fits your requirements at the Edge or Core. 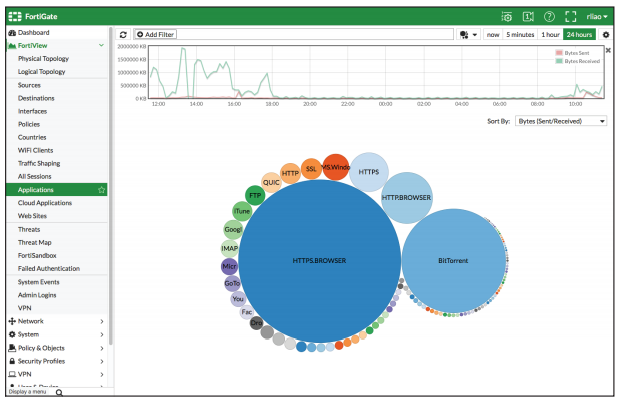 You can take advantage of the high port density for physical segmentation of your network, as well as the virtual domains (VDOMs) for virtual segmentation. Download the Fortinet FortiGate 3800D Series Datasheet (PDF).